40 years of sound engineering and design experience. through to sound studio and home theater design and installation. Phantom-Audio provide High End installation and systems in Indonesia which focus in equal measure on aesthetics, performance, durability, craftsmanship, quality and design and use our professional expertise to ensure meticulous delivery of an installation which is second to none.  Whether you are looking for advice regarding bespoke home theater design and build, or simply looking for the best quality range of audio and visual products available, Phantom-Audio use their acumen, meticulous attention to detail and exclusive expertise to meet all your needs. We also provide a boutique service for clients with a design team led and trained by a world renown sound system specialist whose client base includes Abbey Road Studios and the composer, Hanz Zimmer. In addition to Indonesian high-end audio distribution, our products and services include; Professional studio design & calibration of all residential or professional studios rooms, Private high end home theatre constructions. Media and Audio installations within Hotels, Bars, Clubs, Cafes, Restaurants and Private Venues throughout the Indonesian archipelago. Sound systems which maximize the acoustical properties of your space so effectively that no synthetic equalization is necessary or room correction software. High end video technology and audio calibration. And, of course, the very best in sophisticated interior designs. Copyright Phantom Audio 2017. All Rights Reserved.